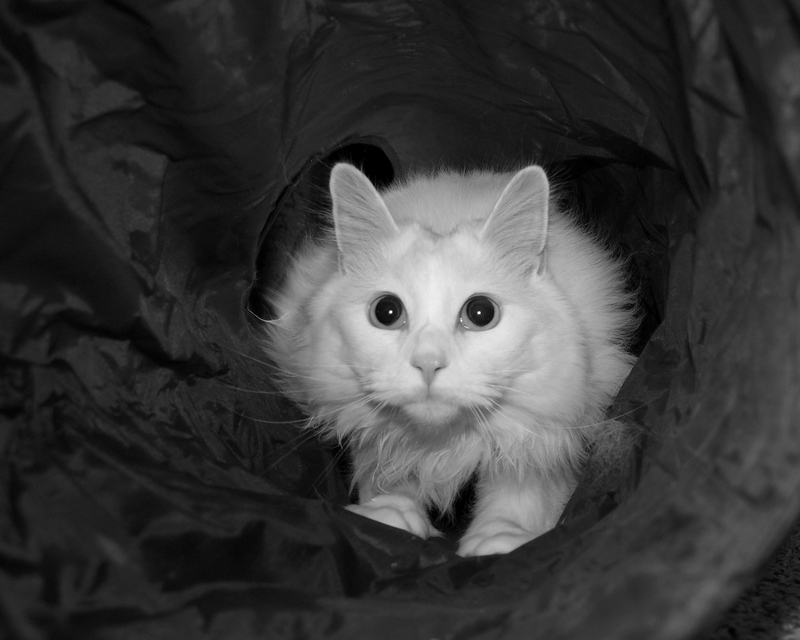 Playing in one of those tube thingies for kitties. She was getting ready to jump out. Almost every photo you upload makes me "wow" love her focused look here!